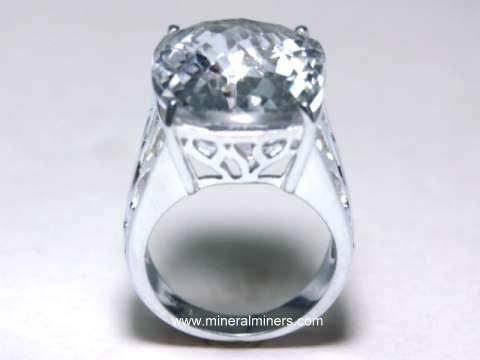 Try our satisfaction guarantee - compare our quartz crystal facet rough prices and our superior quality. Lemurian Crystal Measurements: 2.4" tall x 1.8" wide x 1.2"
This polished quartz crystal has very fine transparency with just a few faint inclusions and some faint phantoms inside! This unique crystal was polished from a natural quartz crystal that was discovered in 2005 at a particular mine in Brazil that is very famous as the original source of the unusual natural quartz crystals known as lemurian seed crystals. See also a full view of this genuine lemurian quartz crystal. Lemurian Crystal Measurements: 3.9" tall x 2.8" wide x 2"
This polished quartz crystal has very good transparency with a large flawless area in the upper part of the crystal. 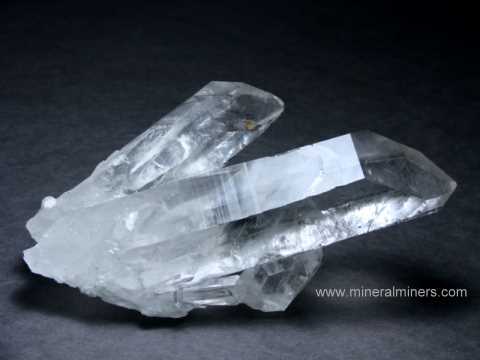 This rare quality crystal was polished from a natural quartz crystal that was discovered in 2005 at a particular mine in Brazil that is very famous as the original source of the unusual natural quartz crystals known as lemurian seed crystals. Lemurian Crystal Measurements: 4.6" tall x 1.9" wide x 1.6"
This polished quartz crystal has very good transparency with a large flawless area in the upper part of the crystal that would yield a 400 carat flawless gemstone! 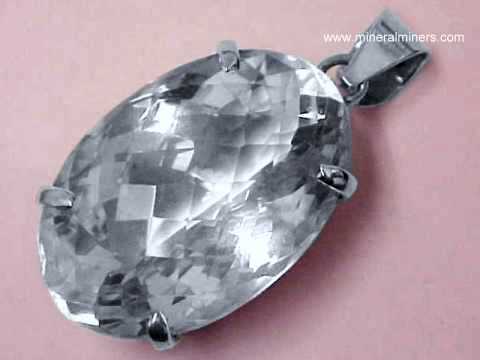 This rare quality crystal was polished from a natural quartz crystal that was discovered in 2005 at a particular mine in Brazil that is very famous as the original source of the unusual natural quartz crystals known as lemurian seed crystals. Lemurian Crystal Measurements: 3.2" wide x 2.6" tall x 2.1"
This polished quartz crystal has very good transparency with a large flawless area inside that would yield a 450 carat flawless gemstone! This rare quality crystal also has some beautiful rainbow reflections inside as well. See a different view showing some of the rainbow reflections inside this lemurian quartz rainbow crystal. 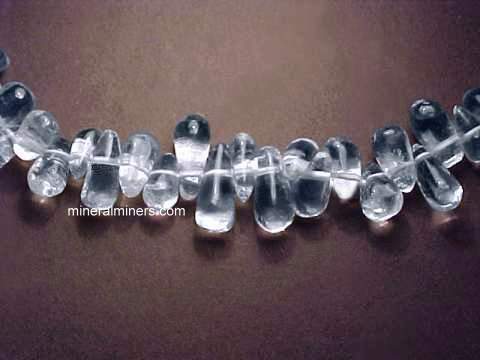 It was polished from a natural quartz crystal that was discovered in 2005 at a particular mine in Brazil that is very famous as the original source of the unusual natural quartz crystals known as lemurian seed crystals. Lemurian Crystal Measurements: 3.8" tall x 2.6" x 2.2"
Lemurian Crystal Measurements: 4.7" tall x 2.8" wide x 2.6"
This polished quartz crystal has rare transparency with a large internally flawless area in the upper portion and some amazing rainbow reflections inside as well. See also a different side view of this beautiful lemurian quartz crystal. 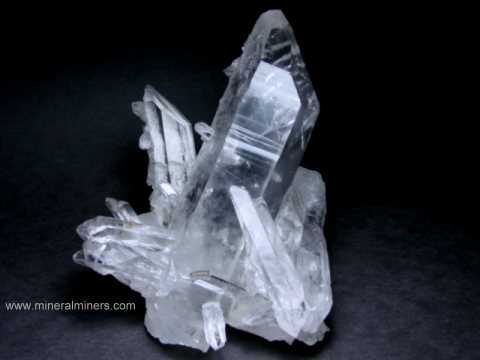 This rare quality crystal was polished from a natural quartz crystal that was discovered in 2005 at a particular mine in Brazil that is very famous as the original source of the unusual natural quartz crystals known as lemurian seed crystals. Lemurian Crystal Measurements: 6" tall x 3.2" wide x 3.1"
This beautiful quartz crystal has very good transparency throughout its length including a large internally flawless area at its tip. There also are some rainbow reflections inside. See also a side view of this fine quality lemurian quartz crystal. This wonderful decorator crystal was polished from a natural quartz crystal that was discovered in 2005 at a particular mine in Brazil that is very famous as the original source of the unusual natural quartz crystals known as lemurian seed crystals. Lemurian Crystal Measurements: 6.7" tall x 4.2" wide x 3.3"
This polished quartz crystal is cloudy at its base with very good transparency in the upper half with a very large internally flawless area at its tip and several internal rainbow reflections. 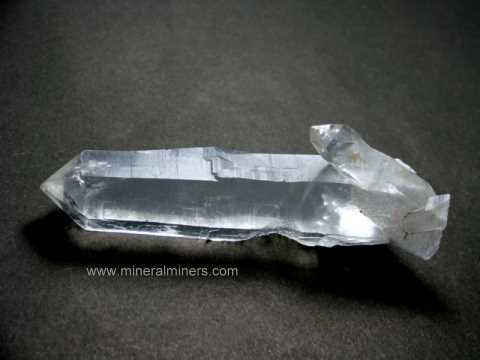 See also another view of this beautiful lemurian quartz crystal. 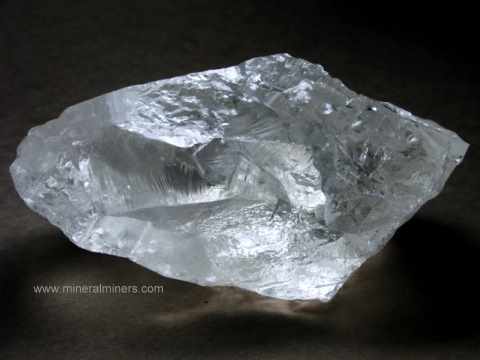 This rare quality crystal was polished from a natural quartz crystal that was discovered in 2005 at a particular mine in Brazil that is very famous as the original source of the unusual natural quartz crystals known as lemurian seed crystals. 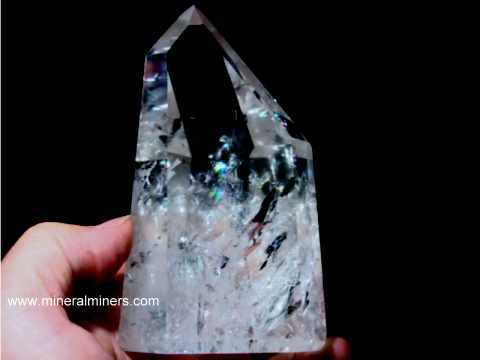 Lemurian Crystal Measurements: 6.7" tall x 4.5" wide x 3.4"
This rare quality quartz crystal has very fine transparency. 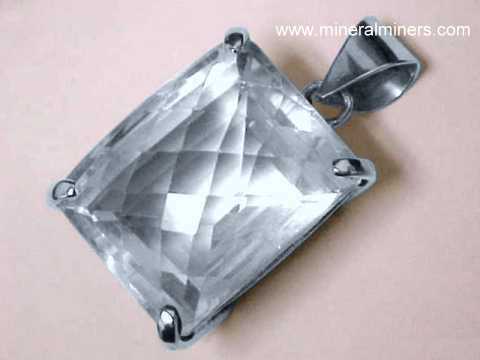 There is a large internally flawless area weighing approximately 1.5 pounds in the upper portion of the crystal! There also are several very colorful rainbow reflections inside. 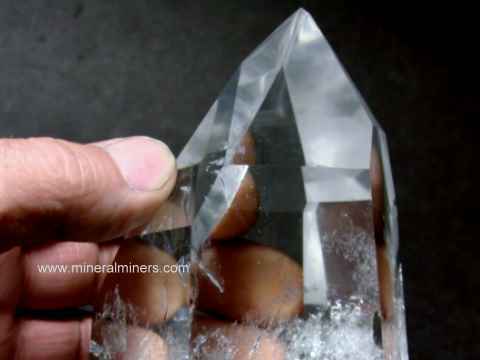 See an opposite side view of this beautiful lemurian quartz crystal. 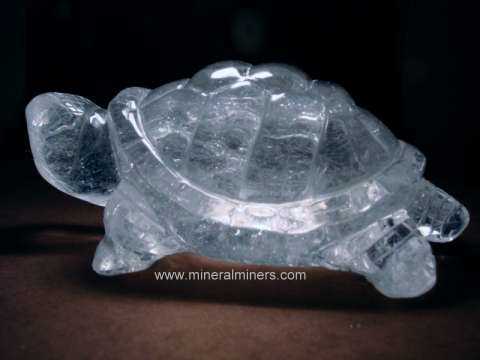 This wonderful decorator crystal was polished from a natural quartz crystal that was discovered in 2005 at a particular mine in Brazil that is very famous as the original source of the unusual natural quartz crystals known as lemurian seed crystals. Lemurian Crystal Measurements: 8.5" tall x 4.9" wide x 4.1"
This fine quality quartz crystal has very rare transparency. 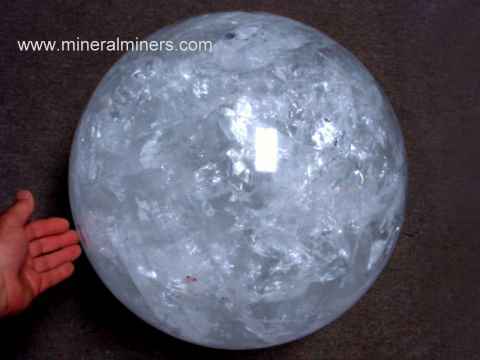 There is a large internally flawless area weighing approximately 2.5 pounds inside this crystal! 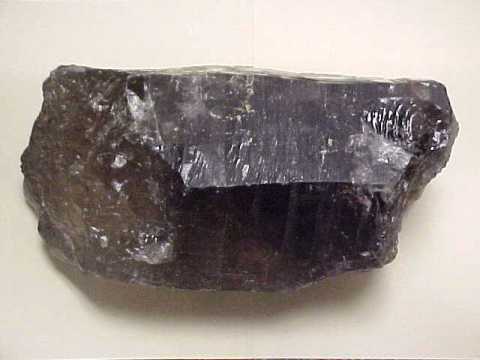 We left one side unpolished to show the natural surface horizontal striations typical of crystals found at this mine (see left side of crystal in photo at left). 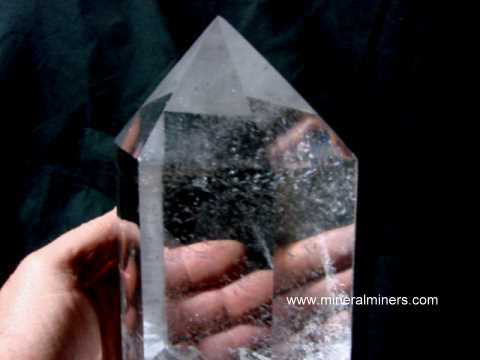 See another image of this rare quality large lemurian crystal. 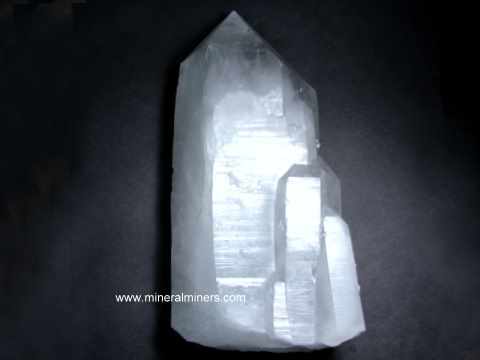 See also an opposite side view of this beautiful large lemurian quartz crystal. This wonderful decorator crystal was polished from a natural quartz crystal that was discovered in 2005 at a particular mine in Brazil that is very famous as the original source of the unusual natural quartz crystals known as lemurian seed crystals. Lemurian Crystal Measurements: 10" tall x 5.1" wide x 4"
This fine quality quartz crystal has very rare transparency. There is a large eye clean area inside weighing approximately 3 pounds! 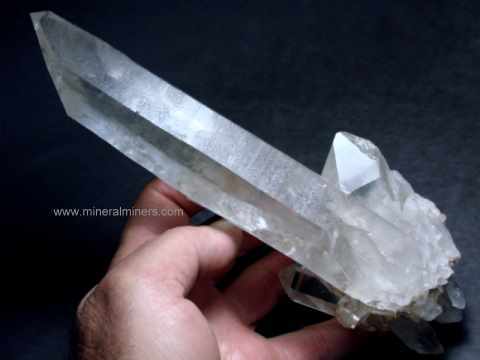 See also a side view of this amazing large lemurian quartz crystal. This wonderful decorator crystal was polished from a natural quartz crystal that was discovered in 2005 at a particular mine in Brazil that is very famous as the original source of the unusual natural quartz crystals known as lemurian seed crystals. Quartz Crystal Rough Dimensions: 3.9" x 2.9" x 1.8"
This natural quartz crystal specimen has pale golden natural color with mostly broken surfaces. 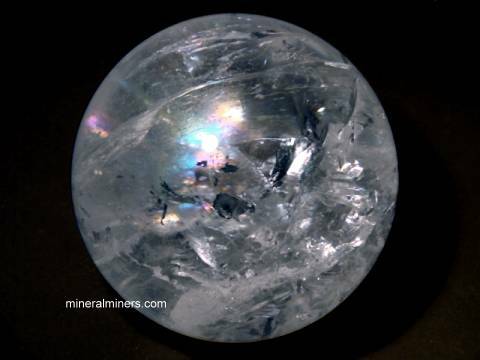 It is transparent with some large gem-grade areas inside! This natural quartz crystal is 4.5" tall x 3.8" wide x 3.2"
This naturally terminated quartz crystal specimen has very good transparency. The faces and terminations are in very good overall condition. There is a small amount of brown iron oxides on some surfaces. 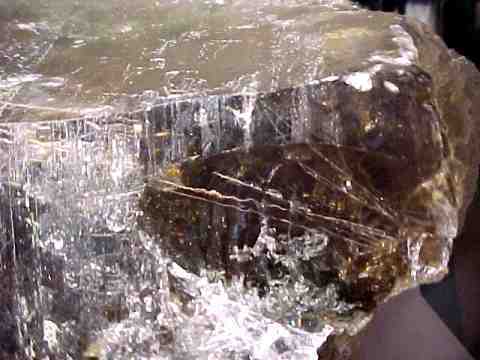 See also a side view of this natural quartz crystal. 12" x 7.5" x 5.5"
Over 90% of this natural quartz crystal section has excellent internal transparency with light brown natural color. 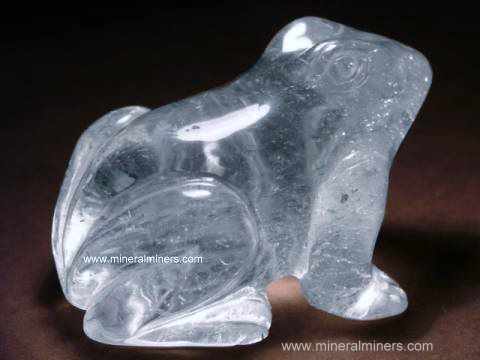 It could easily yield a 15-18 pound polished freeform sculpture with excellent transparency throughout. 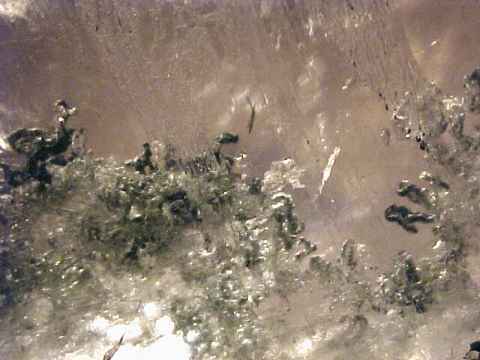 It also has green chlorite inclusions (see a close-up of the green chlorite inclusions), and there are rutile inclusions within it near the base as well (see a close-up showing some rutile inclusions). This is a superb piece for a carver to make a fine quality carving. See also a top-view photo, and an end-view photo. 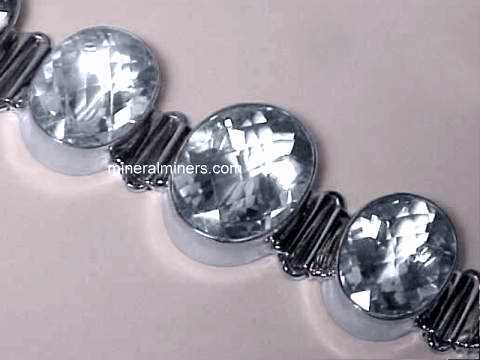 Our Facet Grade Rock Crystal Quartz is natural quartz crystal that was mined in Brazil. We also have natural quartz crystal gemstones set into handcrafted jewelry designs in pendants, earrings, necklaces, rings, and bracelets. Handcrafted quartz crystal products like polished quartz points, carvings and spheres is one of our specialties! We stock a very large inventory of natural quartz crystals including quartz crystal rough, polished quartz points, and large size quartz crystal clusters & quartz decorator specimens. 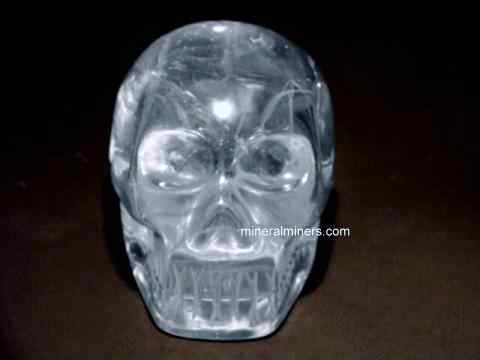 See also our page displaying genuine quartz crystal balls. Be sure to see our genuine phantom quartz crystals and our rutilated quartz crystals! 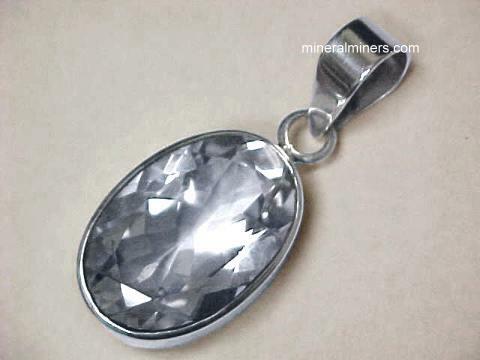 Each of our quartz crystal items is natural quartz crystal. We specialize in Collector Quality Quartz Crystal products! 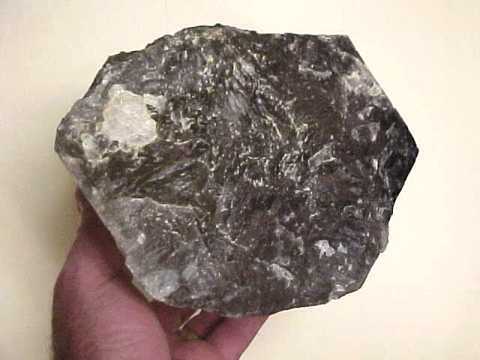 Information about genuine quartz crystal and its history, physical properties, chemistry, occurance, and metaphysical uses is displayed on our quartz information page. 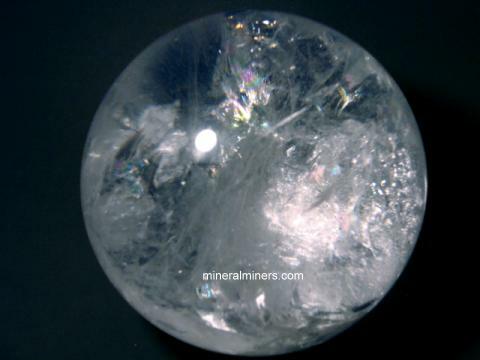 To see more rock crystal quartz photos, just select another linked image displayed below. 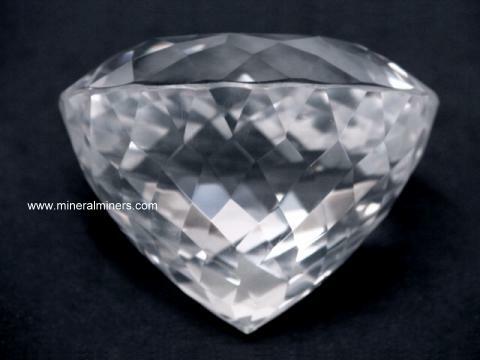 Would you like us to inform you when we add more natural quartz crystal facet grade rough on this page? We literally have tons of naturally terminated quartz crystal rough with internally flawless areas and quartz crystal mineral specimens in stock at our mineral warehouses, so be sure to let us know if you have any special requests. Please contact our webmaster or our 'site' geologist with any questions or comments.